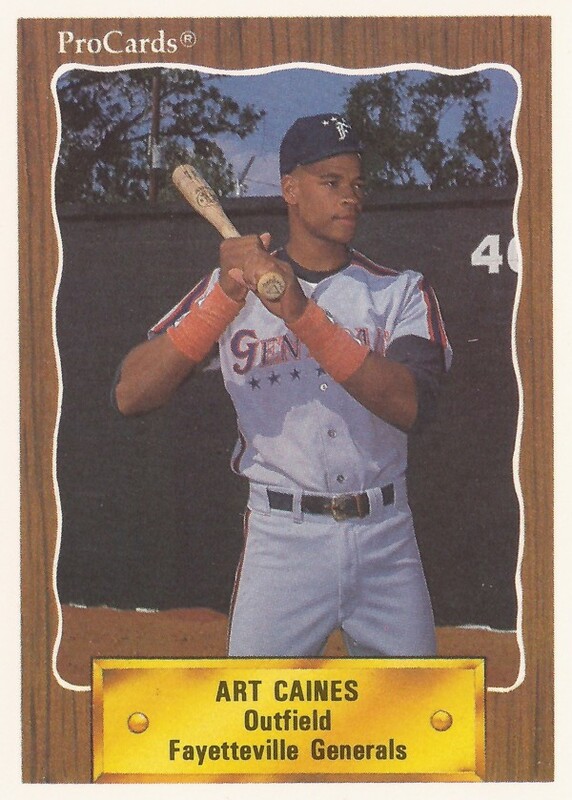 Arturo Caines started strong for the Fayetteville Generals in 1990, according to The Fayetteville Observer. In three early starts, he went a total of 3 for 9. He also hit a big three-run home run against Columbia, The Observer wrote. Caines couldn't keep it up. In his second professional season, he ended up hitting .211. He didn't come back for a third. Caines' career began in 1989, signed by the Tigers as a free agent out of his native Dominican Republic. Caines is also credited as Art Caines. Caines started with the Tigers at rookie Bristol. In 58 games there, he hit .250. He hit six home runs, with 24 RBI. He then moved to single-A Fayetteville to start 1990. He knocked in two runs there in a May game. He later moved to short-season Niagara Falls. Overall, he hit five home runs, with 43 RBI, marking the end of his brief career.